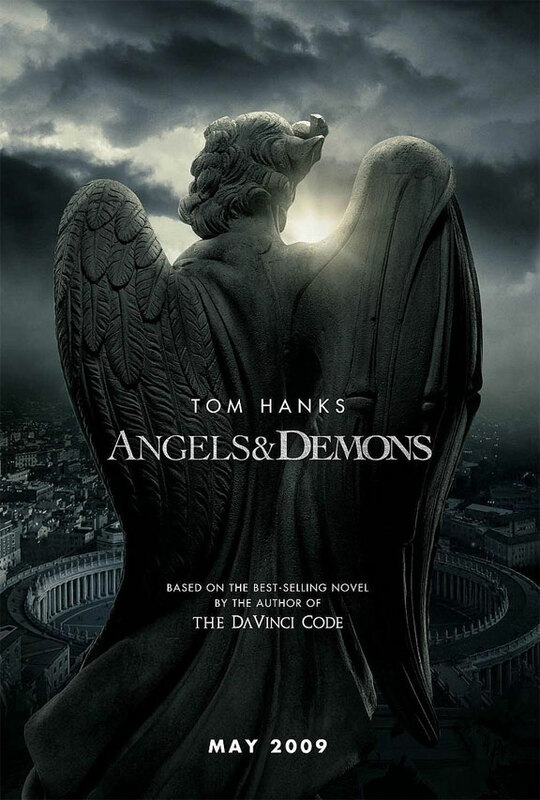 Sony Pictures has just released the first trailer for Angels & Demons, the second film in the franchise following author Dan Brown’s hero, Harvard symbologist Robert Langon, after 2006’s The Da Vinci Code. Tom Hanks returns in the lead, as do most of Da Vinci‘s crew, including director Ron Howard and screenwriter Akiva Goldsman, who co-penned the adaptation with David Koepp (Ghost Town). Joining the cast are Ewan McGregor (Deception), Ayelet Zurer (Vantage Point) and Stellan Skarsgård (Mamma Mia!). My one question is why did they make such a big deal of hiring a French actress to play Sophie Neveu in the first film only to have an Israeli portray Vittoria here? This trailer is certainly riveting, and a much better one than that first look of The Da Vinci Code, which simply showed cracks in the Mona Lisa. I agree with the general feeling that Angels & Demons (which came before Da Vinci) is a much better novel than its more famous little brother, and interestingly enough, I found it also quite pro-christianity. Then again, I also felt that The Da Vinci Code wasn’t that anti-christianity. In any case, I wonder if Angels & Demons will be set as a prequel, or if it was reworked as a sequel. Angels & Demons will be released worldwide mid-May 2009. Leave your thoughts in the comments below. This entry was posted in American Films, Movie Trailers, Posters, Religious Movies, Sequels, Videos and tagged Akiva Goldsman, Angels & Demons, Ayelet Zurer, Dan Brown, David Koepp, Deception, Ewan McGregor, Ghost Town, Mamma Mia!, Robert Langon, Ron Howard, Stellan Skarsgård, The Da Vinci Code, Tom Hanks, Vantage Point by Mr Hollywood. Bookmark the permalink.